"This course simply deserves respect"
„Young gun“ Daniel Danklmaier is one of those competing for the first time on the Streif. The 23 year-old Styrian from Aich in the Ennstal Valley is one of the ÖSV (Austrian Ski Assoc.) junior athletes in the Downhill. Despite injury, he demonstrated his prowess in the Europacup with two victories in his special discipline. 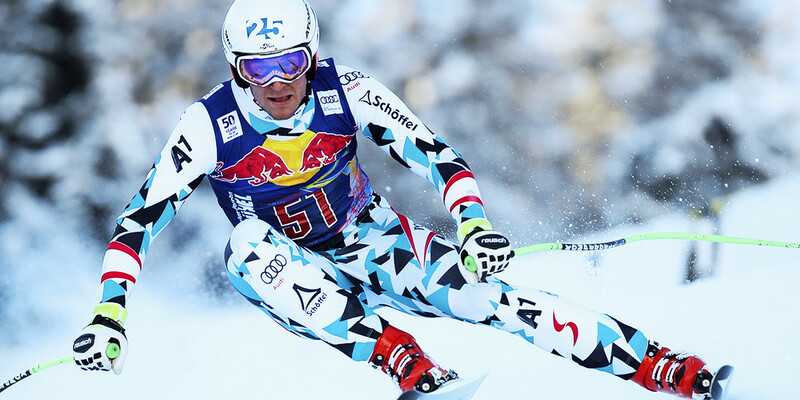 Being able to compete in Kitzbühel is both a challenge and an opportunity for him. How does he deal with it? Daniel, you skied the Downhill on the Streif for the first time this week. How did you feel yesterday during the first course inspection? We skied a section of the course during the Europacup race on Monday. The finish line, however, was ahead of the Hausbergkante. That is why I focussed on the lower part of the course, the Traverse in particular. I wasn’t sure which line to take at first, and then I remembered the TV pictures from last year. It is all different once you are on the hill anyway: you focus your mind and concentrate on doing everything right. How great was your respect for the course before the first start yesterday? It was great – yes. Today again, as this course simply deserves respect. But you have to ski with complete confidence. To what extent did the Europacup Race, which was held here for the first time this year, help? It really helped. Even though it is a bit different this time, the course is more uneven and bumpy. The course is also shorter and the start is different too. Nevertheless, you are acquainted with some sections and have gained a certain amount of experience. How satisfied were you with today’s run? Today was only your second ever experience on the Streif? I’m very satisfied. I need to look at the split times again. You have to draw as much experience as possible from each run and improve from one training run to the next. What experiences did you gain from your run? I took an extremely deep line in the „U-bend“, which I will try to do better next time. I am sure I will tackle the Traverse better, I need to ride the curve better. What counts on Saturday is to deliver a good and clean performance – ski technically well. You can’t attempt more than that anyway!